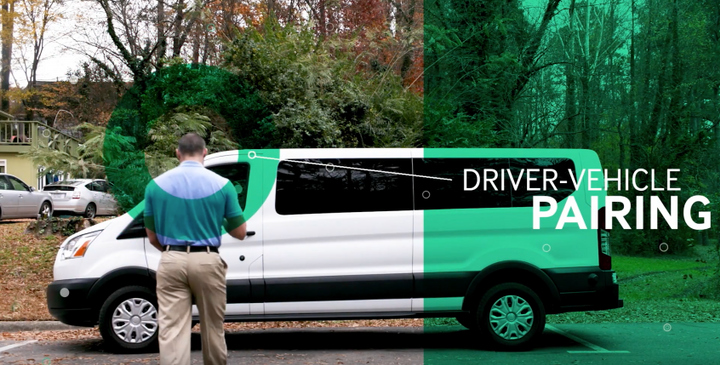 Derive’s solutions leverage existing vehicle intelligence alongside third party software, data, and sensors to customize how fleet vehicles perform, fitting the performance specifically to unique requirements, preferences, and conditions. Photo courtesy of Derive Systems. Derive Systems, an automotive technology company serving the fleet industry, will be hosting an on-site vehicle demonstration of its active telematics fleet solutions at this year’s Fleet Forward Conference in San Francisco on Oct. 9. Derive’s solutions leverage existing vehicle intelligence alongside third party software, data, and sensors to customize how fleet vehicles perform, fitting the performance specifically to unique requirements, preferences, and conditions. Such capability provides those in fleet management and operations with tangible results and the ability to shift the responsibility of fleet performance from the driver to the vehicle. 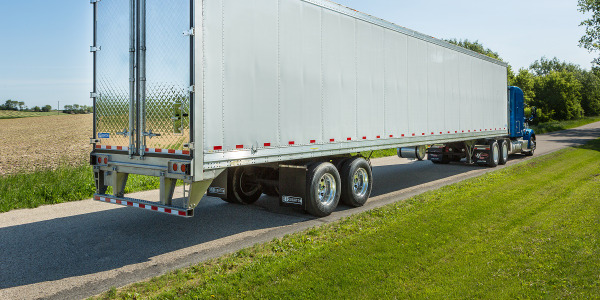 Contrary to existing telematics solutions, the Derive VQ platform actively upgrades the settings of fleet vehicles in order to pre-emptively create safer, more efficient fleet operations. 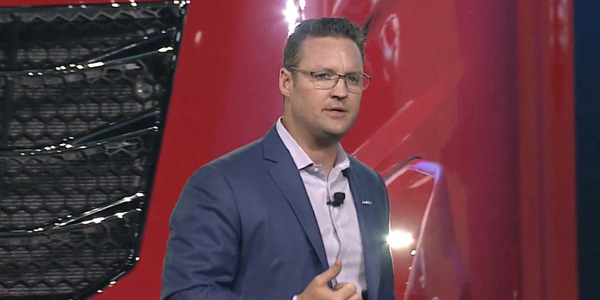 By connecting into workforce management systems, Derive’s solution extends these vehicle upgrades into management insights and improved productivity. In addition to in-person vehicle demonstrations, attendees of the Fleet Forward Conference will hear directly from Torre on Oct. 10, during the scheduled conference TEK Talk – A Roadmap for Advanced Fleet Safety. The Fleet Forward Conference, dedicated to mobility solutions for fleets, convenes Oct. 8-10 at The Pearl in San Francisco. 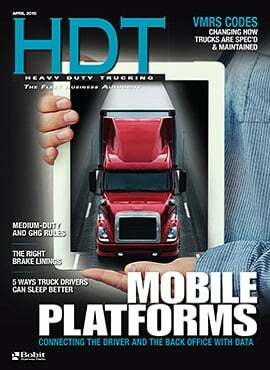 To transport food compliantly, fleets must adopt certain best practices and consider adding advanced technology. 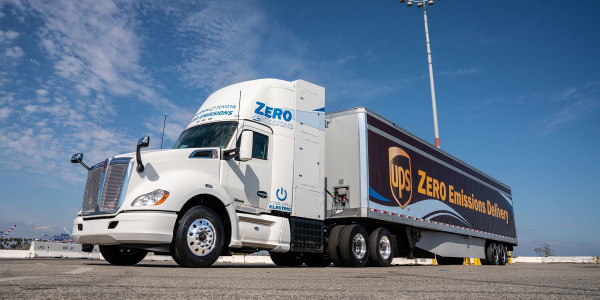 In Southern California, Toyota and Kenworth unveiled a jointly developed fuel cell electric heavy-duty truck, the result of a collaboration with the California Air Resources Board and the Port of Los Angeles. 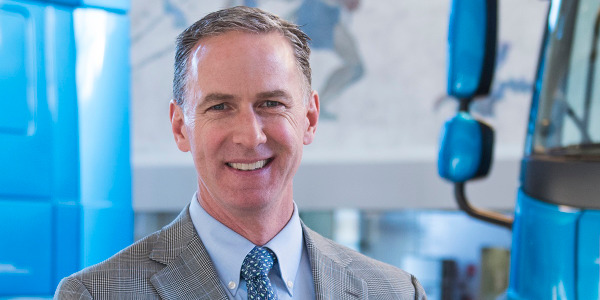 Paccar has announced that Preston Feight will become the OEM's new chief executive officer, effective July 1. 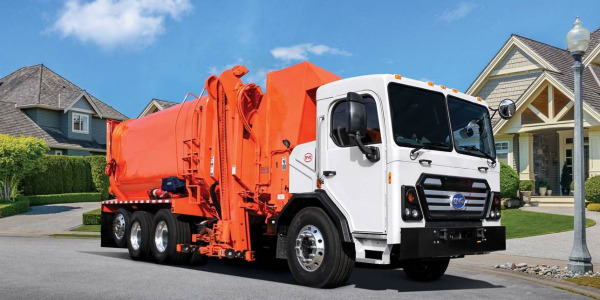 Build Your Dreams (BYD) delivered a BYD 8R Class 8 Automated Side Loader (ASL) all-electric collection truck to Waste Resources, a heavy-duty truck with an electric-propulsion system designed specifically for refuse collection. 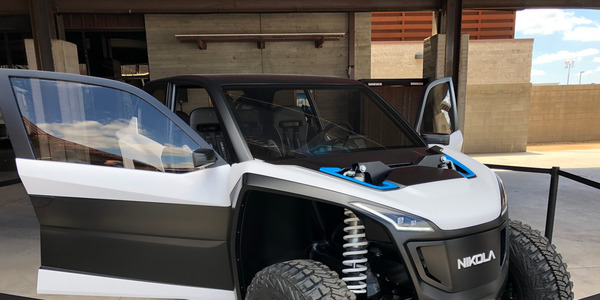 Nikola doesn't just make hydrogen and electric big trucks; the company is an up-and-coming player in the motorsports and off-road vehicle markets. On the same evening the company rolled out the Nikola Two, it also unveiled two off-road 4x4s and a watercraft. 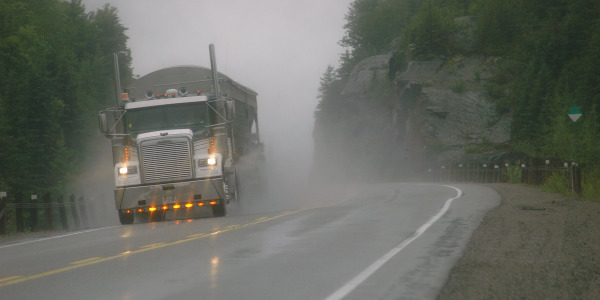 Tire makers need to reduce tire rolling resistance to meet upcoming greenhouse gas rules. What does that mean for safety? 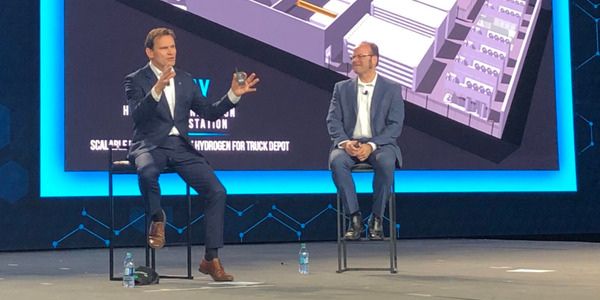 Nikola had two model Two hydrogen electric hybrid Class 8 trucks on display at the Nikola World event, allowing HDT Equipment Editor Jim Park to get an up close look at the futuristic truck's design. There’s water, water everywhere, and little of it being transformed into fuel. 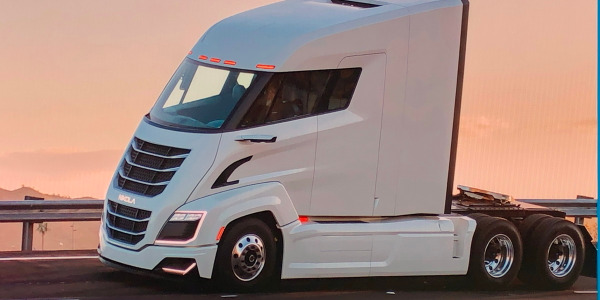 Nikola Motor wants to change that – as well as the way fleets pay for trucks and their fuel – as it rolls out the new hydrogen-powered Nikola Two. We sat down with Nikola Motor Co. CEO Trevor Milton at the Nikola World event in Scottsdale, Arizona, where the evening before he had introduced the Nikola Two hydrogen-electric truck to the world, to get his thoughts on the fueling infrastructure, the competition, hydrogen vs. electric trucks, and why he thinks truck drivers will be eager to switch from diesel. 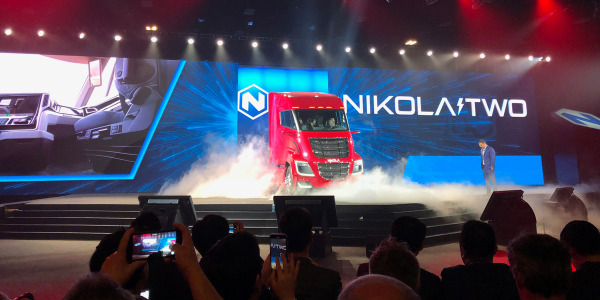 At the Nikola World event in Scottsdale, Arizona, Nikola introduced the Nikola Two hydrogen electric Class 8 truck and the Europe-bound Nikola Tre with much fanfare to a crowd of more than 2,000 media and industry attendees. © 2019 Trucking Info. All Rights Reserved.